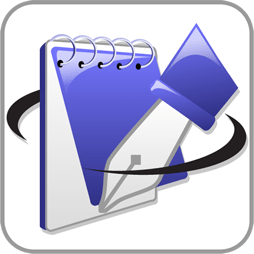 OI10 Productivity features SRP love. You will have noticed just recently that I have become more excited about the OpenInsight 10 release and how it helps application developers to get more done, more quickly, with less code, etc. etc. Over the weekend, Don from SRP joined in with the excitement of this ground breaking release with an SRP blog posting which looks at some of the OpenInsight 10 learning resources that are now becoming available and he touches on the productivity features in OpenInsight 10 that he and the team at SRP are falling in love with and which will no doubt help them to continue to deliver great systems for their clients and now more easily and in a quicker time. Click below to read more of Don’s latest posting. This is a quick note to highlight that SRP have just announced the release of their SRP Utilities and SRP ActiveX Controls for the new 64-bit-only OpenInsight platform. Since OpenInsight 10 (OI10) was released, several of you have spoken to me about support for the SRP controls in OI10 and, as expected, Don and his team have delivered very quickly following the OI10 release. It is great to learn of people embracing the OI10 beta program and there are alot of good people doing some great testing of the software. Today I learned that SRP have gone one further and they are getting ready to roll out their SRP utilities in both 32-bit and 64-bit, the latter (I believe) being available for OI10 beta testers. The link above will take you to their blog posting about the release. The OI10 project is really hotting up now. 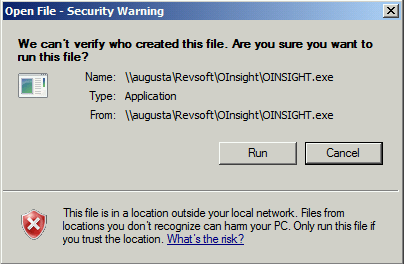 Resolving Open File Security Warning when Launching OpenInsight. If you deploy OpenInsight systems and come across the Open File Security Warning in Windows, then Jared at SRP has three very useful options for you to consider and which will enhance and ease your OpenInsight deployments. Jared has blogged the options in details and they can be found at the URL copied below. There has been a lot of talk about REST and Restful APIs in recent months. Don spoke about SRP’s use of RESTful APIs in his conference presentation last year and I noticed that other MultiValue vendors are starting to support the technology – it’s seems to have now moved beyond the latest must have. In addition to SRP’s pre-conference blog posting RESTing before RevCon 2016, SRP have just published a follow-up blog article which talks about why they released their SRP HTTP Framework and also about their new version of the toolset (Version 3). You can read the full blog article on their blog – here. If nothing more, the postings and the Powerpoint presentation will give you a good grounding for the technology and how it can be exploited in OpenInsight. You won’t be caught out when providing a demo and you are asked about support for REST and what it might mean for you and your application. Jared from SRP has just published his next instalment which is looking at the Universal Driver version 5.0. In his latest blog posting he looks at the affect of locking versus no locking on system performance. It is proving to be a busy week with news and information from the Revelation community. Yesterday we had the Sprezzatura article about the Calculator Trick and today SRP are back with an update on their popular Editor control. In their latest blog article they explore the metadata record structure that is a feature of their new service module metadata which was announced recently.